If you are too shy to meet women on your own, then the tips in this article can definitely help you out. This is the However, you will need to be very careful when following these tips because doing them wrongly can result in major disappointments on your part. These techniques have been widely practiced within the confines of the “SIBG Seduction Lair” here in Baltimore, but its applicability is universal – so it doesn’t matter if you’re in Baltimore, New York, the Cotswolds or Hong Kong. In fact, we have received many success stories from our seduction brothers across the world from as far as Singapore and Tokyo. Meeting high quality women is not an impossibility – you just need to know what to do at the right time. Clubs and bars would be some great places to meet women, but they aren’t always the best ones if you are looking for something more serious. If you are after nothing but a quick hookup, then bars and clubs can give you exactly what you need. This may sound controversial to you, but dating websites are actually very effective at helping men meet women nowadays. The best part is that they are extremely convenient since you won’t have to leave home to meet new women. Plus, you can look for women who share the same interests with you with ease. Just be careful that you don’t get scammed by fake websites or profiles that are only there to take your money from you. If you can’t decide which one to try, you might want to see The Telegraph’s 20 most useful dating websites. Regardless of where you decide to look for women to date, you should never lower your standards, no matter what. If you believe that you are good enough for any woman that you meet, then she will believe it, too. If you keep thinking that you will never be able to attract women, on the other hand, women will steer clear from you because of your lack of confidence. Women happen to love confident men who know what they want and who can command conversations and situations without an ounce of anxiety. Having said that, women also prefer their men to take charge and make any necessary plans. If you are just starting to see someone, though, then make sure you choose public places to meet her in, so that she will stay comfortable in your presence. Some good places to meet would include coffee shops, gyms and bars. Just make sure that the place is respectable and presentable, and she will love your choice either way. If you want to meet women and have them react favorably towards you, then you will need to take care of your appearance and maintain that appearance at all times. Wearing nice clothes would be vital, as well, but make sure you don’t overdo things. Just make sure you always look good, no matter where you go, because you can never know when you will meet the girl of your dreams. 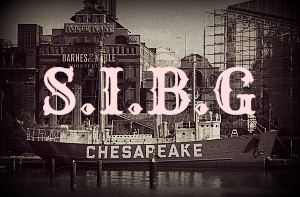 And when you do, make her fall in love using this SIBG guide. Let’s face it: nobody is perfect. As such, it wouldn’t hurt to get some advice from other men or just observe men and see what works for them. It would also be advisable to try out all sorts of methods in attracting women until you find what works best for you. If you want to meet as many women as possible, then go out there and work the social scene. If you decide to go clubbing, then hang out in the more open areas where you can meet more people with ease. By taking charge and by being socially aggressive, you can actually meet more women, dance with them, talk to them and eventually get them to go out with you. Timing is of the utmost essence here, too. Ideally, you shouldn’t go to places too early since you will only end up getting burned out too early in the night. Besides, more people will be there the later you go – remember that. Rejection is something that you will never be able to get rid of, no matter what, so just embrace it when it happens. Besides, rejection doesn’t necessarily mean that you are doing something wrong. Some women may already be spoken for, while others may just not be interested in men, in general. Think about it. As you can see, there are many ways to meet women and date them. Just make sure you follow the aforementioned tips in order to ensure that you score a date or two with the ones that you are interested in.